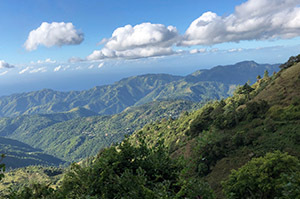 Join Trekking for Kids on an exciting 5 day expedition to hike the Blue Mountain in Jamaica - at 7,402 ft, the highest in the Caribbean - and work on behalf of children in an orphanage in Montego Bay. A few days at the casually elegant and storied Half Moon will offer a trifecta for our participants - an impactful project, lovely overnight accommodations, and a great hike to an iconic mountain under a full moon. Our overnight hike will be led by seasoned guides working through Whitfield Hall, a beautiful coffee plantation and hiker’s inn on the flanks of the Blue Mountain. We start our ascent at 3 am under a full moon, and summit at sunrise to enjoy the majesty and beauty of the Blue Mountains. On clear days from the summit, Cuba comes into view, over 100 miles away. We’re back at Whitfield Hall by mid-morning for a celebratory Jamaican breakfast, complemented by famous Blue Mountain coffee. No previous trekking experience needed, but we require that all Trekkers be in good physical condition and able to hike for several hours, non-stop, carrying a daypack. It’s important that a good physical conditioning program be undertaken at least two months before departure. Participants will arrive and depart at Montego Bay airport, accessible by non-stop flights from many East Coast cities. 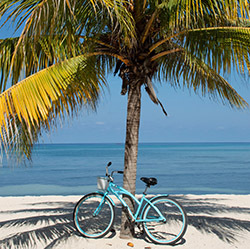 Make this trip to the Caribbean about more than just beaches and sunshine! After signing up for an Expedition, Trekkers receive access to the Trekker Resource Center, with online tips and tools to help you succeed.